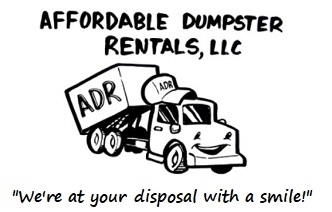 Affordable Dumpster Rental provides low-cost Residential and Commercial Roll off Dumpsters and Dumpster Bins starting at $199. We’re Philadelphia's premier dumpster rental service to call today for rates and services. Our Philly Dumpster & Bin Rentals: Residential Roll off Dumpster Rentals - Construction Dumpster Rentals - Bulk Trash Dumpster Rentals - Garage Clear Out Dumpster Rentals - Landscaping Waste Dumpster Rentals - Commercial Dumpster Rentals - Roll off Dumpsters and Bins for all your Waste Management needs! We Do Our Very Best To Service Same Day. A Friendly Suggestion Is To Place Your Order 48 Hours In Advance To Secure Your Desired Delivery Date. "Speak With A Friendly Representative, Not An Automated System." East Philadelphia area, West Philadelphia area. Rent a Roll-off dumpster or dumpster bin for all projects! Affordable Dumpster Rental provides dumpster bin containers available in 4, 6 & 8 cubic yard capacities. We offer same day service for your garbage bin dumpster needs delivered to your location promptly and as specified. Rent a roll off or bin dumpster containers in Philadelphia, for trash removal or construction waste removal . Philadelphia Dumpster Rental Service Areas: Chinatown, Spring Garden, Old City, Poplar, Southwest Center City, Hawthorne, Society Hill, Francisville, Northern Liberties, University City, Schuylkill, Point Breeze, Queen Village, Yorktown, North Central, Olde Kensington, Mantua, North Philadelphia area, South Philadelphia area, East Philadelphia area, West Philadelphia area. Subpages (2): Philadelphia and Surrounding Cities Dumpster Rental Service Proud to Serve Philadelphia and Surrounding Cities!